The 23-time gold medalist has obviously had plenty of top moments in his lifetime, but he's made it clear that no event tops the moment he became a father. 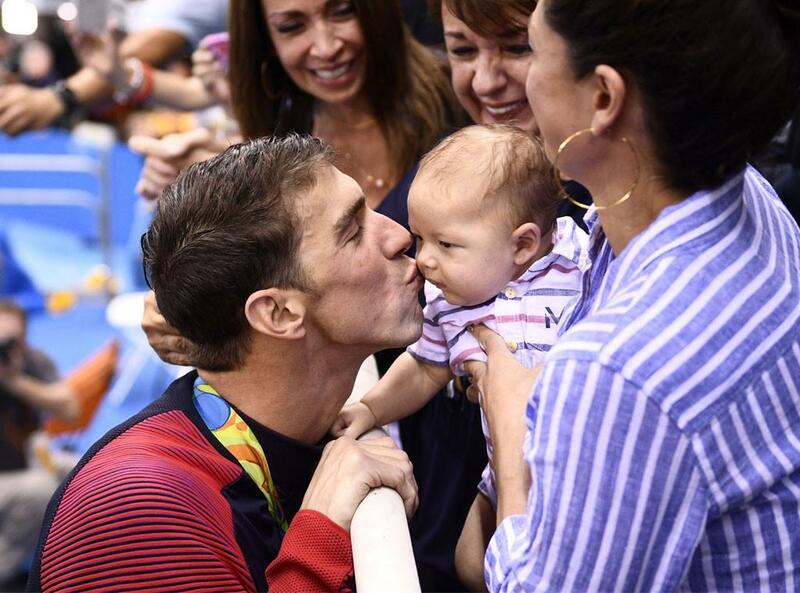 Michael Phelps is absolutely enamored with his son Boomer. And if we must say so ourselves, he's one of the cutest dads we've ever seen. While baby Boomer got a front-row seat to his dad's gold medal action in Rio, Michael proved he's also a gold-winning dad.